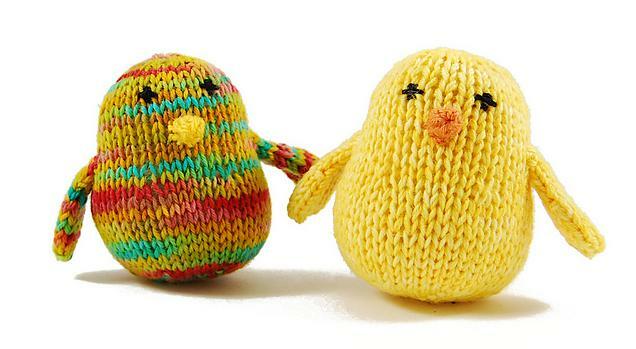 This entry was posted in crochet, easter, Free Patterns, store hours, Uncategorized on March 20, 2016 by Knit-O-Matic. Rebecca Danger makes great toys, you may know her from books such as The Big Book of Knitted Monsters. 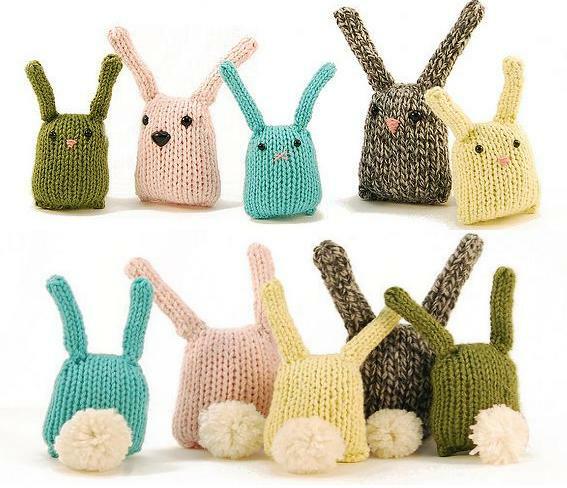 These toylets are not only free, but they can be made with bits of leftover yarn. If you want to make a bigger chirp, just use thicker yarn. Bunny Nuggets are also a Rebecca Danger joint – the lady’s good. The same rules apply as the Chirps above, you can use leftover yarn, and the size depends on the thickness of yarn used. 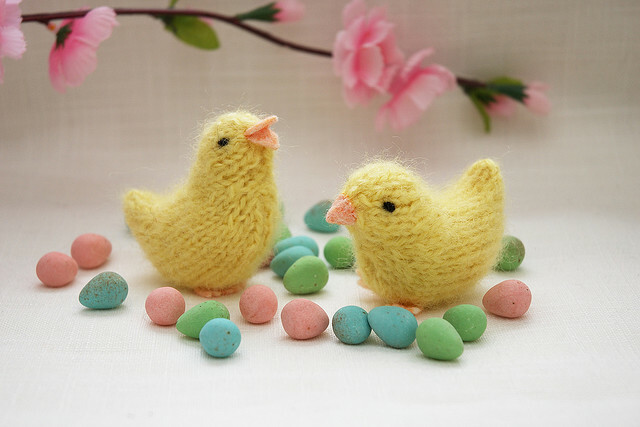 Fuzzy Mitten is another talented crafter of toys and her Freebie chicks are a quick & easy Easter project. It’s actually really hard to find egg-yolk yellow mohair, but all you need is a bit of worsted weight, yellow yarn (Cascade 220 Superwash or Debbie Bliss Cashmerino Aran). Baaaaaaaaaaaaa! 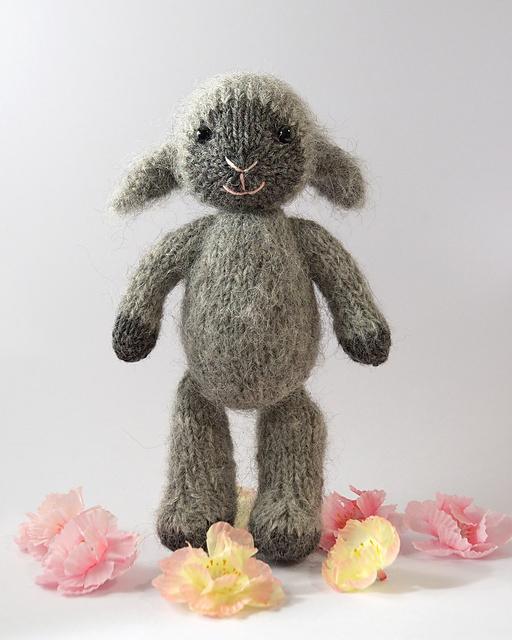 Fuzzy Mitten’s Laaaaaaaamb is adorable, Free, and if you wish you can purchase some simple clothing patterns for it (she also sells a second set of clothes, and a third and more elaborate set of outfits). This little puppy is just too cute to be true. My little piece of a niece may have one in her near future. 🙂 Aran weight yarn is applicable, I’ll use Malabrigo Worsted or or Debbie Bliss Cashmerino Aran. 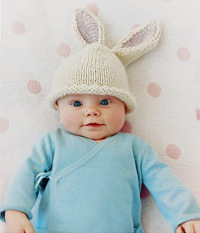 This entry was posted in easter, Free Patterns, holiday, toys on April 5, 2011 by Knit-O-Matic.